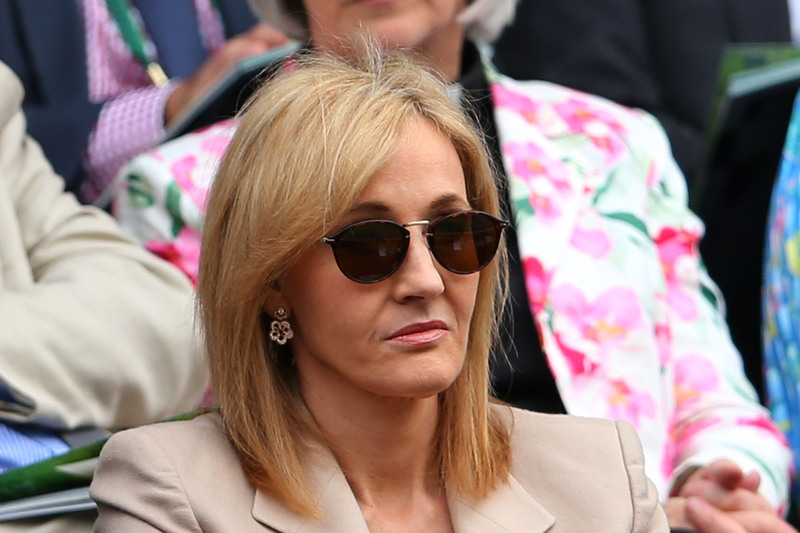 No one understands the power of words better than self-made billionaire and author J.K. Rowling. It's not surprising, then, that Rowling just called out Donald Trump for suggesting that his own vulgar comments about women didn't matter. During Sunday night's presidential debate, Trump was asked to respond to comments made in a now-infamous leaked video during which he gleefully describes sexual assault, bragging that as a celebrity, "they let you do it." Moderators Anderson Cooper and Martha Raddatz were quick to question him about the comments. "You bragged that you have sexually assaulted women," said Cooper. "Do you understand that?" Trump's response was dismissive at best, calling the conversation "locker room talk" and "just words, folks." He declared that his words didn't matter, and pivoted to ISIS as the "real problem." The major themes of Harry Potter, arguably, are inclusion and love. Rowling seems to echo these beliefs in her political commentary on Twitter, which frequently promotes feminism, diversity, and support for impoverished people. She talks about these issues in British and American politics alike, and she has been actively anti-Trump throughout the 2016 election. When Trump tried to claim that words don't matter, Rowling was the perfect person to call him out. She's absolutely right. Trump's words are important because they contribute to a culture in which the sexual assault of women is seen as commonplace, unimportant, and even acceptable. They are also, simply put, extremely offensive to and disrespectful of women, an attitude that should be unacceptable in a presidential candidate. Moreover, at several points during the video, Trump brags about things he claims to have done, not merely things he claims to be able to get away with. As for the second part of Rowling's tweet, facts absolutely matter. They don't seem to matter too much to Trump, however — he repeated several of his most infamous untruths during this debate, including allegations that he opposed the Iraq War (he didn't), that Hillary Clinton started the birther movement (she didn't), and that she supports a single-payer healthcare plan (nope). Trump's repeated insistence that demonstrably false things are true should be pretty familiar to any Harry Potter fan who's read the fifth book. Ignoring the truth when it doesn't suit you is a classic Dolores Umbridge move, after all. So is distracting from your own messy record with the truth by accusing your opponent of lying. It makes total sense, then, that Rowling would actively campaign against Trump online.